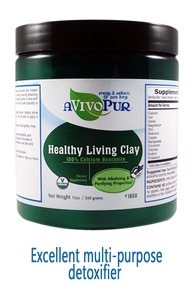 Recently I received Avivo Pur’s Healthy Living Clay Mask. Alkalizing and purifying, this calcium bentonite clay is safe to eat or use anywhere on your skin. It’s negative charge is what helps pull out toxins (positively charged). Once the clay has absorbed the toxins your skin becomes healthier. It has calcium, iron, iodine, magnesium, zinc, selenium, copper, chromium, sodium, potassium AND MORE! Click the photo to go directly to Avivo Pur Healthy Living Clay | Bentonite Clay Detox page to get yours delivered directly to your doorstep! It is discovered preserved and hidden in protective natural barriers, with a PH of 9.6-9.7. Topically, it is good for skin use – healing the most severe skin issues. Eczema, dermatitis, rashes, bruises, fungus and more. You can leave it on until it is completely dry, and it is safe to be left on overnight without side effects. Many cultures use clay in small amounts! 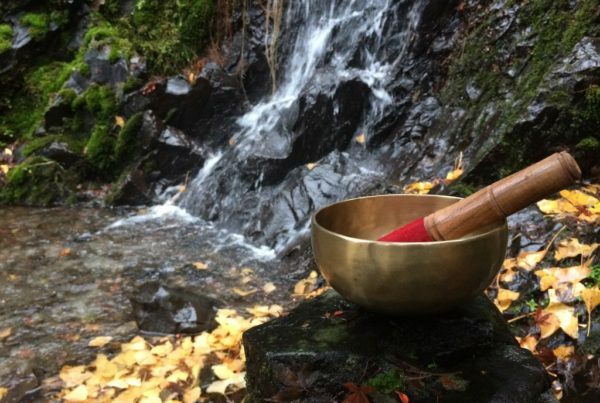 It can be thrown into the bath for a detoxifying bath as well. (So relaxing). 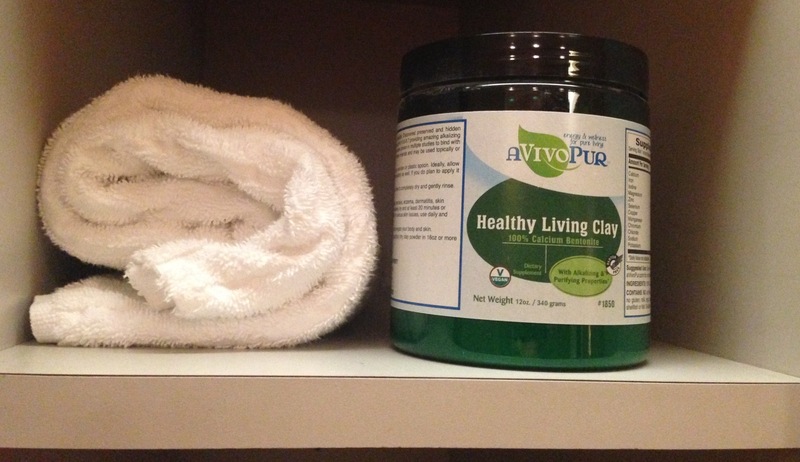 See if you like Avivo Pur’s Healthy Living Clay. It is like anything else healthy that you try to incorporate into your routine. 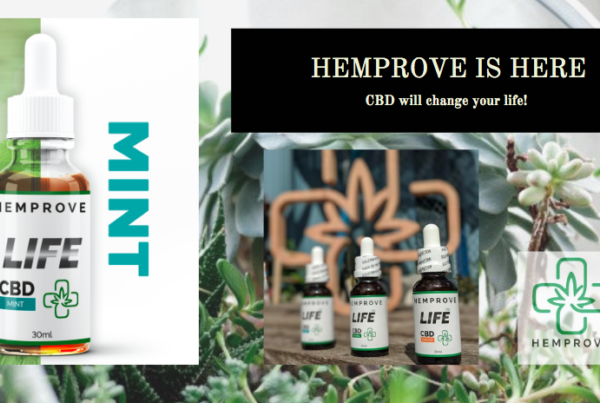 Why Avivo Pur? 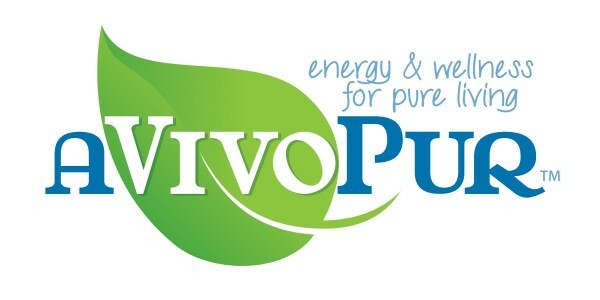 Avivo Pur ensures purity. Additionally I love that the vitamins arrive packed in glass jars. This clay is 100% vegan. I felt it start working the moment I put it on my skin. I love it. It feels cool, calming, and pure on skin. The tiny dots are excess oils it pulls out of skin. Avivo Pur Bentonite Clay is incredible!! To use as a mask: you can make it thicker by leaving the clay mix to sit overnight before using it. It can be used right away. 1 part clay for 3 parts water. Use the spoon provided and don’t use a metallic spoon to scoop it. You can use the bentonite clay on arms, legs, back, body. 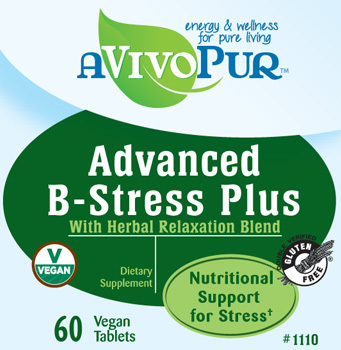 Avivo Pur also gave me supportive B-STRESS VITAMINS with a herbal relaxation blend. I certainly am feeling relaxed. See how relaxed you can get too! You deserve it. Let this be your gentle reminder to treat yourself. Click here to go to Avivo Pur’s Website. 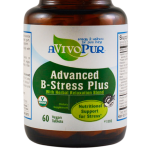 Order your Advanced B-Stress Vitamins Plus with Herbal Relaxation Blend right to your doorstep!